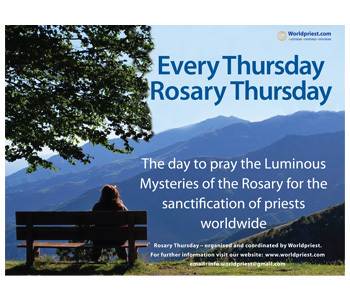 Like many millions of people across the globe you may already be praying the Rosary on Thursdays. 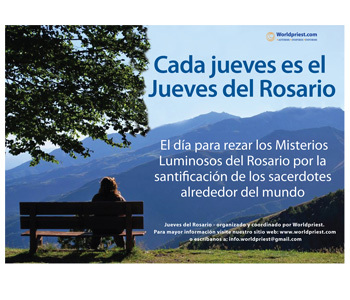 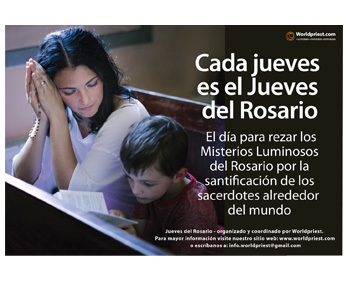 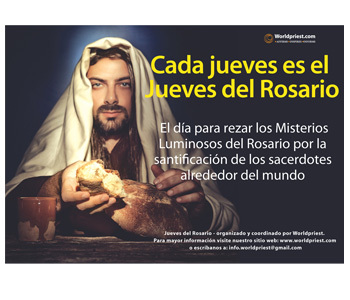 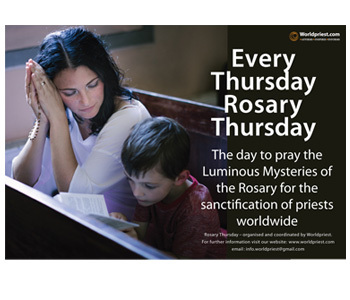 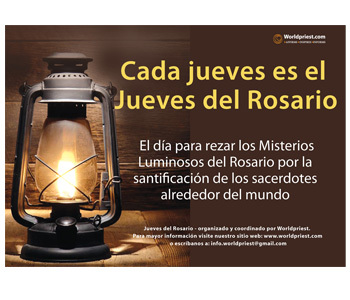 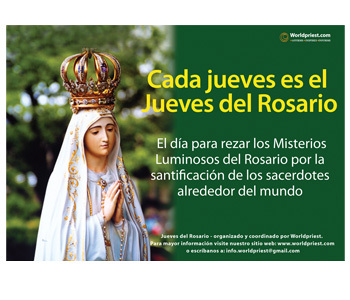 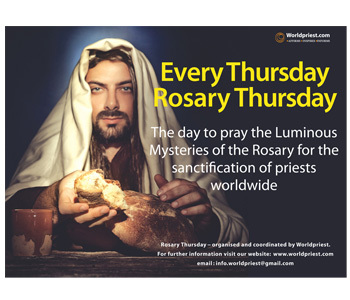 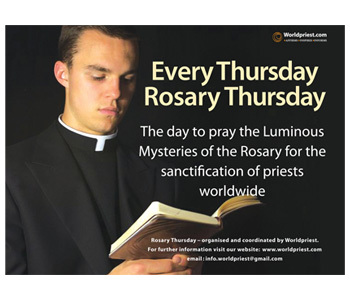 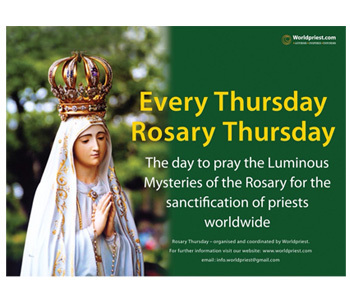 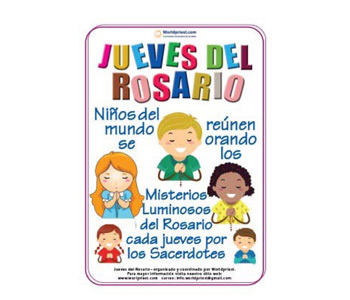 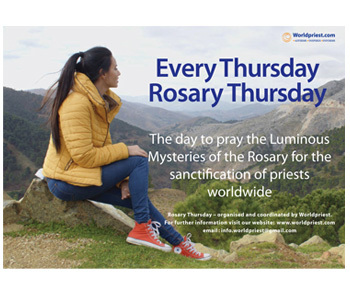 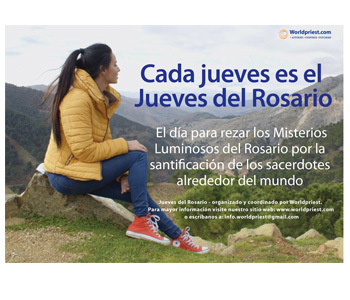 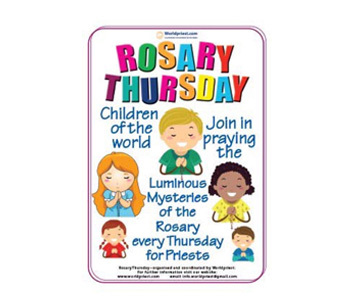 Worldpriest is now naming each Thursday as Rosary Thursday, and invites you to offer your Rosary on that day for the sanctification of priests, which is also the Worldpriest Global Rosary Relay intention. 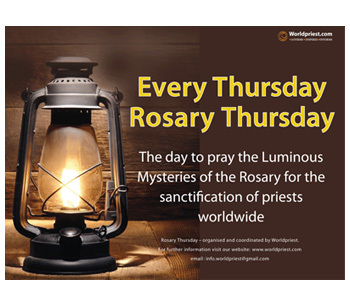 In 2002 Pope John Paul II invited Catholics to pray the Mysteries of Light on Thursdays. 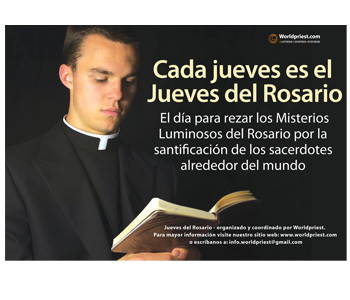 These Mysteries focus on the public life of Jesus, the Light of the world. 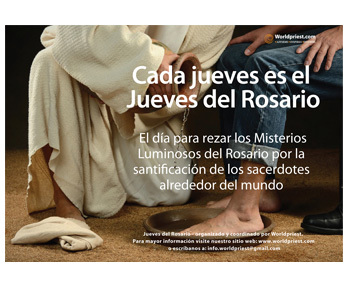 Included are Jesus’ Baptism, Cana, his revealing of God’s Kingdom, his Transfiguration and the institution of the Eucharist. 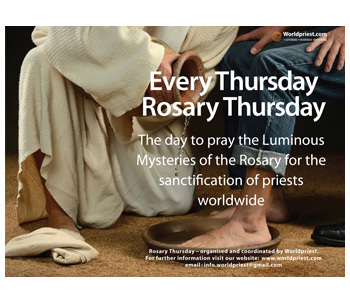 These Mysteries fit well with what Worldpriest is about.